Andre Oentoro is the founder of Breadnbeyond, an award winning explainer video production company. He helps business increase conversion rates, close more sales and get positive ROI from explainer videos (in that order). Download his latest guide to Choosing The Best Explainer Video Production Company and learn how to get the most value out of your explainer video. Social media live videos are the most effective way to add a sense of urgency and exclusiveness to your marketing. Live videos create a unique, demanding, and exclusive real-time experience that compels your audience to comment and interact with you. It will, in turn, merge individual audience members into a large community. 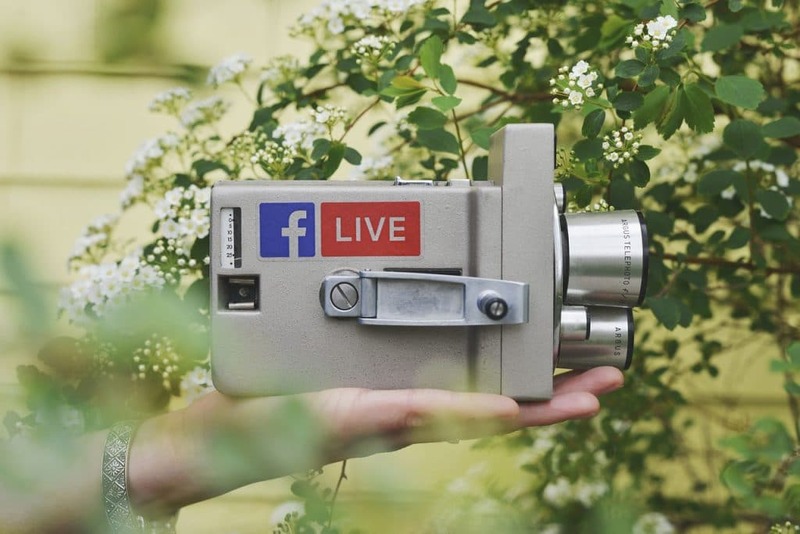 In this article, you will learn how you can use live videos on various social media platforms like Facebook, Instagram, Twitter/Periscope, and YouTube to grow your brand and build a better relationship with your audience. 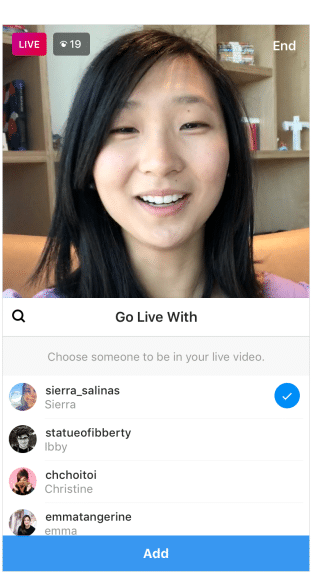 Why Use Social Media Live Videos? Streaming live content through social media adds several factors that you can’t find in any other way of content sharing. Besides those factors, using social media live videos also allows your audience to participate in real-time, which makes it different from normal content interactions such as liking a video or leaving a comment on a blog post. Only social media live videos offer this real-time experience—which makes it unique and worth investing in. 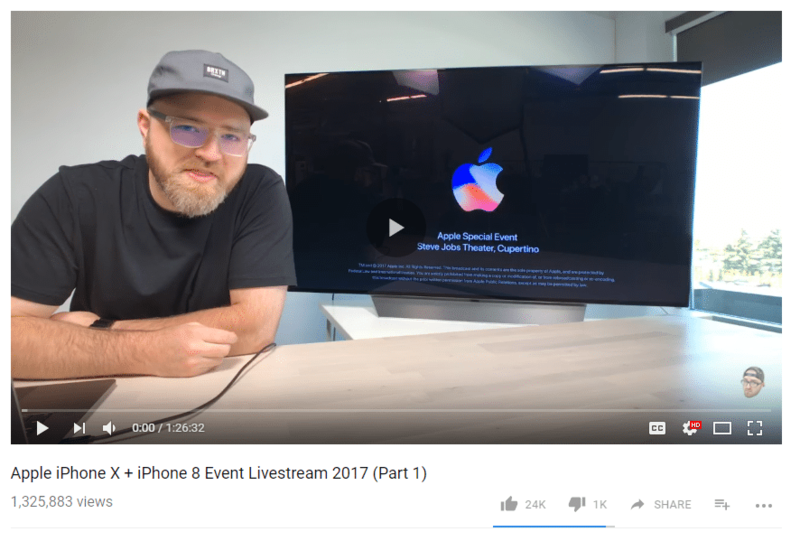 Before we dive deeper into how you can use social media live videos to improve your brand’s quality from your audience’s perspective, let’s take a look at some of the biggest live streaming options. Facebook is the go-to social media platform that everyone has an account for. That means Facebook Live has the biggest audience pool out of social media live streaming platforms. 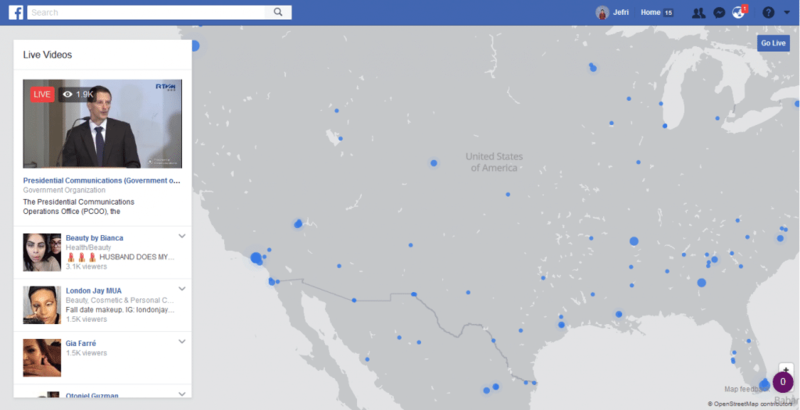 If you’re aiming to reach as many people as possible, use Facebook Live. Facebook Live is a built-in feature in the Facebook mobile app—which is one of the best built social media apps in the market right now. 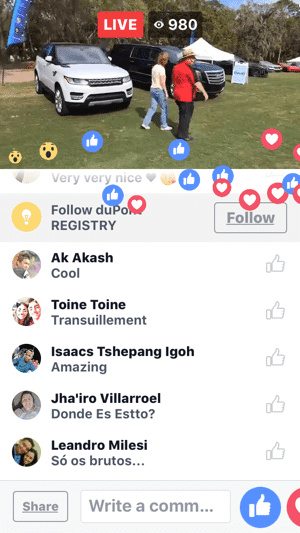 To do a live broadcast from the Facebook mobile app, tap the live video icon below the text field. You can set the privacy of your stream just before it starts. Don’t forget to add a short description of your broadcast — although a description seems trivial, it’s important to grab audience’s attention and entice them to join your broadcast. You’ll be able to see the number of viewers who are currently watching your broadcast. 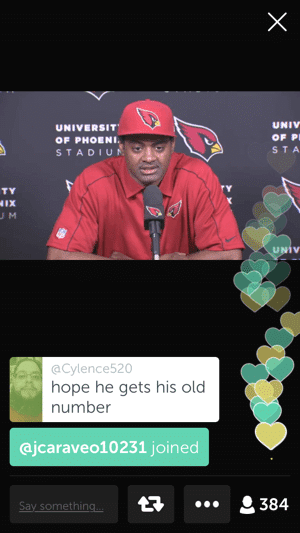 Reactions and comments will be visible on your screen in real-time. You can broadcast for up to four hours, which should be more than enough in most cases. 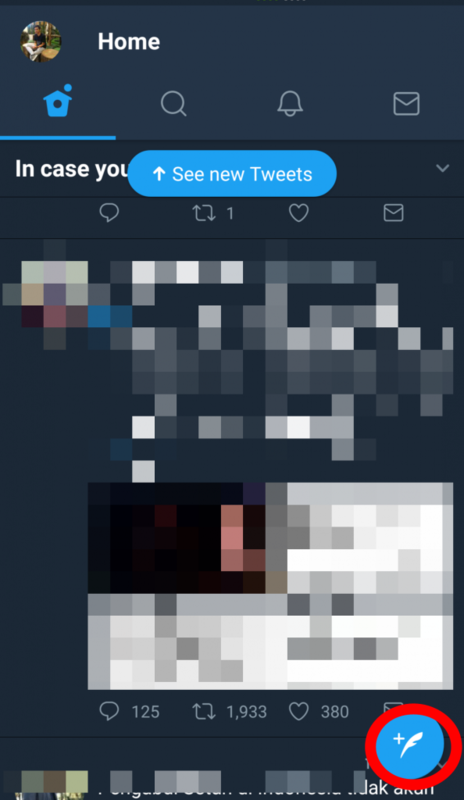 In addition, your broadcast will appear in your timeline for your audience to see later. The analytics provided are also suitable for conducting experiments with different types of content and tracking results from your broadcasts. 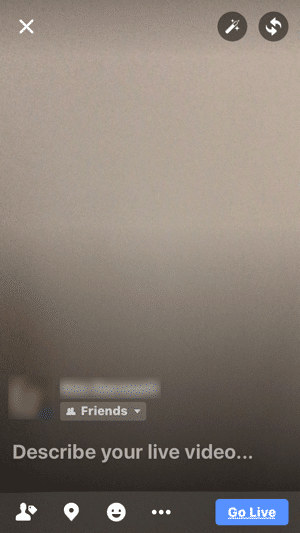 The best feature of Facebook Live is that you get to set up the privacy option for your live broadcast just before it starts. This means you can choose a specific audience group to watch your broadcast. As a company or marketer, you can segment your audience based on your preferred criteria and create unique content for each segment. Twitter integrated Periscope into their main app feature in 2016. 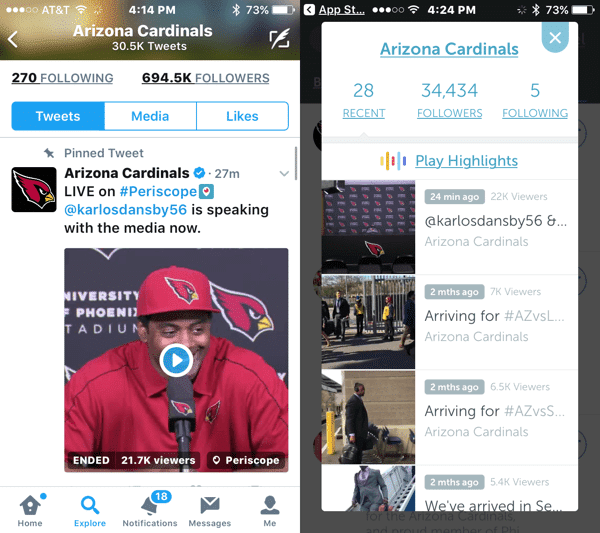 Now anyone can broadcast live videos directly from the Twitter app and reach audiences on both Periscope and Twitter. 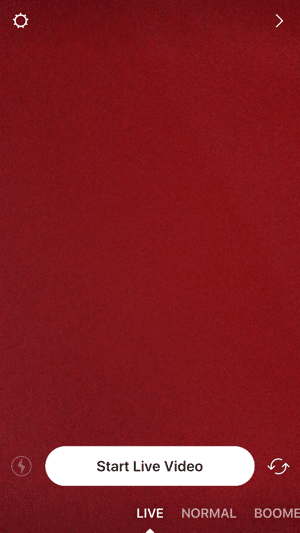 Tap the compose tweet icon. Like Facebook, you can add a short description of your broadcast to let your audience know what it’s about. You will also see the comments and likes/hearts in real-time. 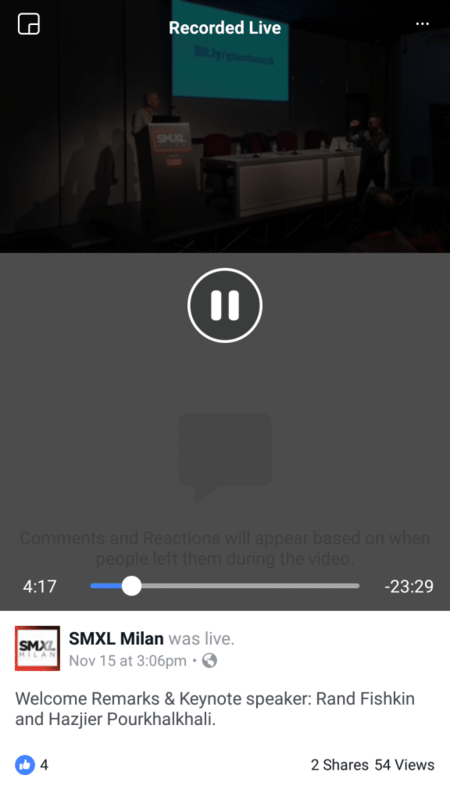 Live videos will appear as tweets and will remain in your timeline as recorded videos after the broadcasts end. The integration between Twitter and Periscope gives you great bonus exposure since the videos you broadcast on Twitter will be visible to Periscope users as well, even if you haven’t signed up for a Periscope account. Allowing Twitter to access your location data also allows Periscope to include your broadcast into the Broadcast Map, which helps local users find you more easily. 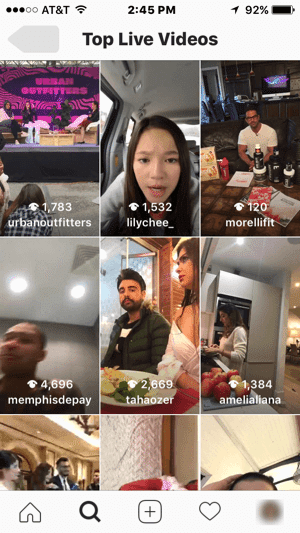 While it started out as a photo-sharing app, Instagram certainly has come a long way in helping its users with a live video feature. 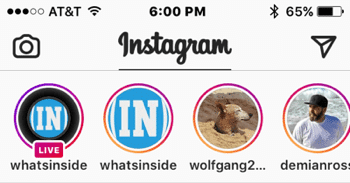 Instagram’s live video feature is a part of the stories feature — which by itself is a blatant rip-off from Snapchat. 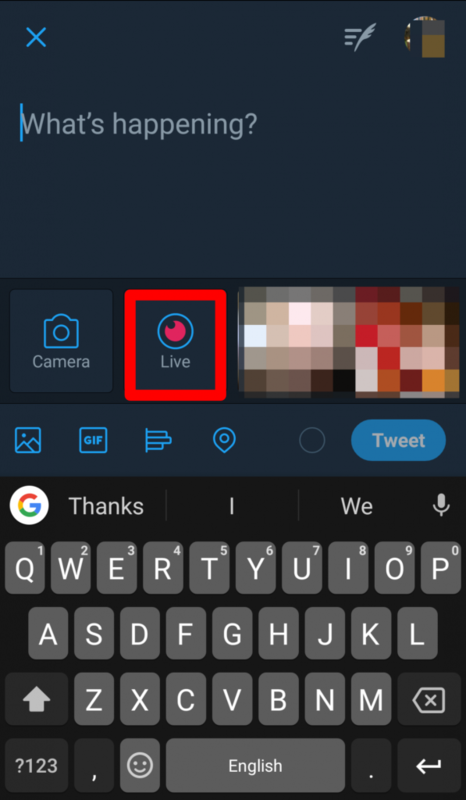 The main difference in Instagram’s live video option is that it disappears after 24 hours, which means the urgency of the content is increased, but its view and reach are significantly reduced. Due to this short lifespan, it’s best to keep your stream on Instagram casual. There’s no need to invest in great production value and serious topics to talk about during a live broadcast. To use Instagram Live, you need to tap the camera icon on the top-left corner of the UI or slide your screen to the right. You can broadcast live for up to an hour. Your followers will be notified (assuming they turn the push notifications on), and the best part is that the live video is located at the top, which makes it hard to miss. Instagram’s recent update also makes stories appear even if you have scrolled down your newsfeed. If you turn the location service on, your live broadcast might be featured in the Top Live section in the Explore tab. 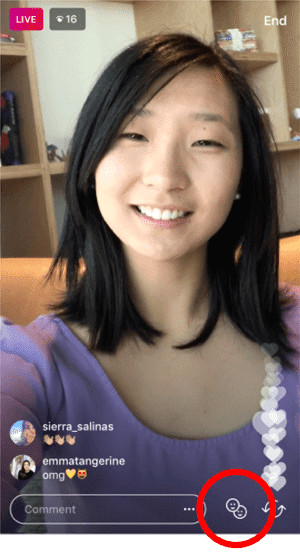 The main value of Instagram live is the urgency it gives to your audience due to the fact that the video will disappear. There’s no second chance if they don’t see your broadcast in the first 24 hours—that is, as long as you don’t publish it somewhere else. But how exactly should you use these live features on social media to grow your brand? Let’s dive right in. A solid brand always has a good relationship with their audience base. Broadcasting a live Q&A session to your social media followers is an effective way to achieve a strong relationship with your audience. Let me give you a few statistics about social media first. There are 7 out of 10 male Internet users and 8 out of 10 female Internet users who are on Facebook. 81% of millennials check their Twitter feeds at least once per day. There are 700 million total users on Instagram, 400 million of which are active daily. Those are some big numbers, but the point is that a big part of the world uses social media. There is a real chance that your entire, or at least some of your, target audience is following you on social media. While actions like delivering content through other media, such as blog posts or forums, might be enough, there is no real-time communication between you and your audience—which is one of the main components of building a strong, personal relationship with your audience. 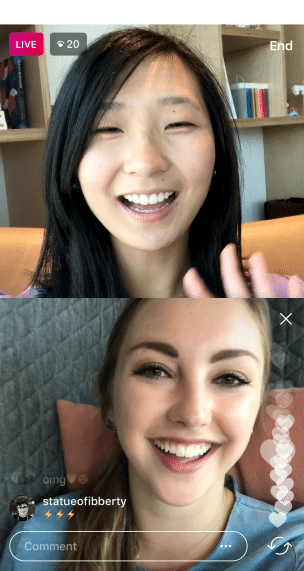 Facebook is the best platform for holding a live Q&A broadcast mainly thanks to its compatibility with external cameras (not just your smartphone’s) and the simple live video UI on both the desktop and mobile versions. YouTube broadcasts are also worth mentioning because the platform has a simple UI that’s plenty for making interactions happen, but not so simple that it looks meh. Broadcasting announcements and messages about current events are probably one of the most common ways companies use live videos. This might be because it’s a really effective way to implement technology as part of the company’s development. If you have an announcement that you would like to share externally with your audiences, such as new product launches, changes within the organization, or even charity events that your company holds at Christmas, you should broadcast it to your social media followers. Social media live videos can be used to introduce your audience to your company’s atmosphere and culture. Give your audience a taste of what life is like at your house (if you’re a work-at-home entrepreneur) or around your office. You can live broadcast anything! Possibilities include when your company is having an office Halloween party, or when you are moving the office to another building. It will show your audience what the folks at your company are actually like when they’re not covered by the company’s brand. If your company is holding a live event like a seminar or talk show, you can broadcast it to your social media followers to build your brand as a thought leader in the industry. Let me explain. Brand building is not just about getting your brand known by as many people as possible. It is about expressing who you are and what you stand for, why your opinion matters—and most importantly, why you should be trusted as a company. One of the best ways to achieve that is by running an event or being invited to speak at one. Events are some of the best opportunities for getting your brand recognized as a thought leader in an industry. Sharing some sessions through social media live streaming is an effective way to share your expertise with your audience on multiple digital platforms. They will feel included and gain the knowledge you share during that event, even though they can’t be there physically. Plus, it builds your audience’s trust in your expertise quicker because when they watch you on a live video, they know that it’s unedited and real-time. If your company sells a product, what’s a better way to get more buyers than by putting it to test? 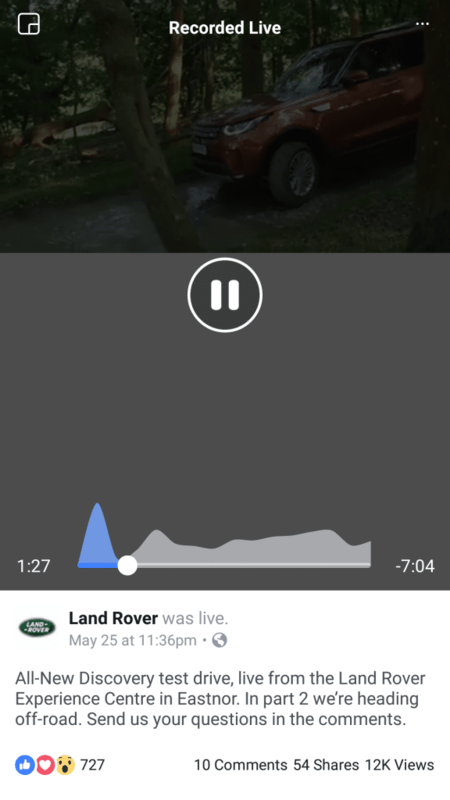 Land Rover (yes, the car brand) hosted a live video on Facebook Live and Periscope every Friday for one month. The purpose of the broadcasts was to show how their vehicles handled on different terrains. Invite influencers from your industry to join you in a broadcast. Not only will you have another expert to attract viewers, but you’ll also have a second opinion on everything you plan to cover in the live stream. In the video below, Sephora invited Jen Atkin of Ouai Haircare and Christophe Robin Paris for a 30-minute block to talk about tips, trends, and beauty products. Step 1: Go live on Instagram. Step 2: Tap the two smiley face logos next to the comment column. Step 3: Invite your guest. Step 5: To end the conversation with your guest, tap the little X button in the corner of your guest’s panel. 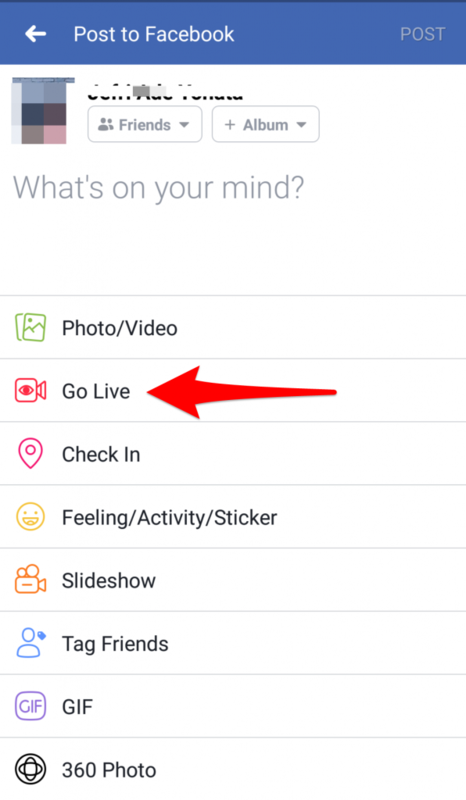 Facebook Live has a simple interface; you can set up privacy settings and select your audience group; your video stays for your audience to watch again later. Twitter Live is best used for sharing what’s happening around you. Plus, it’s also visible to Periscope users even if you don’t have an account. Instagram Live is the best place to go when you want to go casual with your live stream. The video disappears after 24 hours, which increases the urgency of your content. Live video is a new mode of sharing content and building your brand. If you don’t start now, you’ll be late for the party. How to Grow Your Brand On Instagram?